CEDAR RAPIDS, Iowa (April 18, 2018)-Kirkwood Community College recently received two major awards for promoting sustainability and environmentally-friendly practices across its campuses. The college has been given a Tree Campus USA designation for the seventh year in a row by the Arbor Day Foundation. The recognition follows an announcement that the Kirkwood Regional Center at the University of Iowa was certified with LEED Gold status for building design. Tree Campus USA is a national program created in 2008 by the Arbor Day Foundation to honor colleges and universities for effective campus forest management as well as engaging staff and students in conservation goals. Kirkwood achieved the title by meeting Tree Campus USA’s five standards, which include maintaining a tree advisory committee, a campus tree-care plan, dedicated annual expenditures for its campus tree program, an Arbor Day observance and a student service-learning project. The college is one of five Tree Campuses in Iowa and the only community college in the state with that designation. 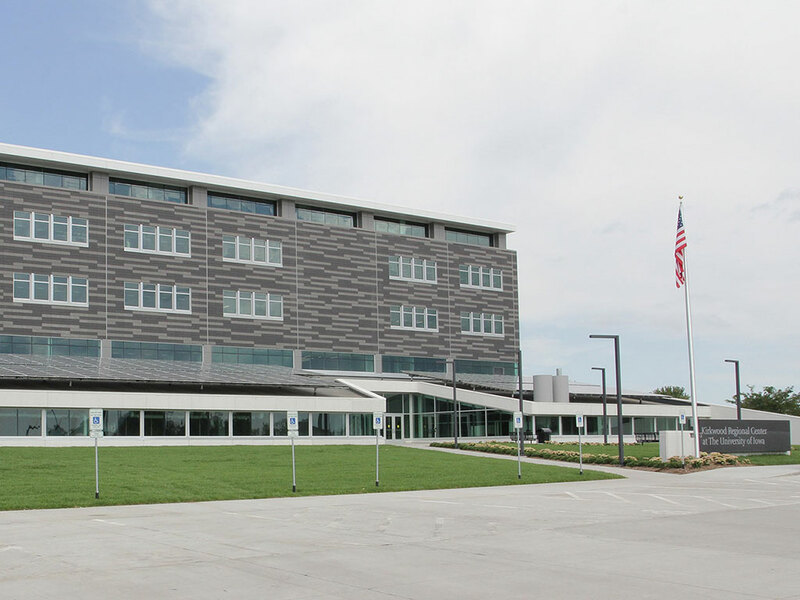 The Kirkwood Regional Center at the University of Iowa also recently received the honor of being Leadership in Energy and Environmental Design (LEED) Gold certified by the U.S. Green Building Council. According to the USGBC website, projects pursuing LEED certification earn points across several categories, including energy use and air quality. Based on the number of points achieved, a project then earns one of four LEED rating levels: Certified, Silver, Gold or Platinum. To Kirkwood Vice President of Facilities and Security Troy McQuillen, both honors are proof that the college is achieving the goal of reducing its carbon footprint. In addition to a 2.5 MW wind turbine located on main campus, the college also utilizes solar panels, geothermal heating and cooling, and occupancy sensors among other tactics to limit its impact on the environment. Kirkwood has also incorporated environmentally-friendly curriculum into various programs that the college offers along with student-led committees. For more information on all the college’s efforts to positively impact the environment, go to www.kirkwood.edu/kirkwoodgreen.